When taxtime comes around again, will you be ready to receive all the credit you deserve? The following article will help, and so can England Record Keeping. If you have a complete record of your receipts ready to hand to your tax professional, the process will be faster and easier for you both. Call us at 507-353-0003 to find out we can simply your receipt and recording. We track your receipts and more. One of the rules of business that always works is this one: Track your business receipts. England Record Keeping can help you keep this one. Call 507-353-0003 to see how. Right now, somewhere in your company, one of your employees is rolling his eyes. Make no mistake, it's because of a policy or rule that leadership created. The eye-roll—and its cousin, the defeated shrug—are the silent protests of people in every area of your company. READ MORE HERE. Audits are something we all want to avoid. Today's Financial Resource helps small business owners with this. Receipts tell your business story - when they are in order, even if you are audited, the process is stream-lined. The other thing keeping track of your receipts does is provides you with peace of mind. England Record Keeping's system allows you to do this - simply. Call 507-353-0003 to find out how we can help you. Think Out of the Box. . . This is fun post, but something to consider when looking for new business ideas. Sometimes you need to think out of the box, or as Wal-Mart learned, out of the aisle. Wal-Mart knew it was in unknown territory when it launched "Get on the Shelf," an Internet popularity contest in which inventors compete for a coveted shot at selling their creations through the world's largest retailer. READ MORE HERE. Thinking about starting your own small business? Do you own and operate one already? This Financial Resource might surprise you. Avoid these traps! England Record Keeping can be part of your recipe to financial success - find out how to day by calling 507-353-0003. Tracking your receipts and records simply are essential - don't try operating your business when you have no idea where you've been, where you are, or where you're going. We are all looking for a recipe for business success that is easy to follow. But what if instead there was a recipe for disaster? Why would anyone want to know the formula for failure? Because you may be blind to the fact you are already following it, at least in part. And if you know the ingredients to avoid, you'll save your business before it's too late. READ MORE HERE. Payday loans are meant as a stopgap for the fiscally pinched. But in many cases, these short-term loans create a costly cycle of escalating debt. READ MORE HERE. Before you get in too deep, see what England Record Keeping can do for you. Call 507-353-0003. A business owner I know calls herself an office supply addict. She loves browsing the aisles of her favorite office supply stores. Yes, stores. She says, "The are my 'Cheers' - they know me by name." They know her so well, they take the time to show her what's on sale, how she can save, and new products they know she might enjoy. She follows most of the suggestions in today's Financial Resource which she says, "These wise practices allow me to splurge on my favorite supplies, like colored paper clips, that cost a little more, but are fun to use. My relationships at the stores double my chances of getting good deals." It's also important to track your office supply receipts to see what you're spending and what's deductible. England Record Keeping can help you with that! Call 507-353-0003 to see which of our receipt tracking or record keeping packages is right for your business. Are you working too hard? One symptom of overwork is when you know you have important things, like receipt and record keeping, undone, but you just can't seem to find the time. One way you can increase your productivity and peace of mind is to hire England Record Keeping to track your receipts. Call 507-353-0003 to see what we can do for you. Fix Your Password - NOW! It's great to save your financial records on your computer, but are your passwords secure enough? Want to save time, energy, and money when it comes to tracking your receipts? England Record Keeping can help you with that. Our simple record tracking system provides you with a secure way to keep your receipts in order - ready for the taxman inspite of computer glitches. Call us at 507-353-0003 to find out more. A few years ago I had to hack a couple of family email accounts after the passwords were lost. It took a few weeks, but I finally guessed the password of one and the answer to the security question of the other, which enabled me to change the password and recover years of vacation photos. READ MORE HERE. Are you retired? Is an older parent still trying to navigate the new bill paying methods? Are their receipts or yours a mess? Do you want your parent to remain in control of their finances for as long as possible? These and other reasons make hiring a record keeper to help out a great idea. England Record Keeping has options for you, depending on your financial needs. Call 507-353-0003 to find out how we can help track your receipts and more. Eight years ago, Robert Simpson, now 99 years old, made a costly error when handling his phone bill online. He paid his carrier $15,000 instead of $150. "Because his fingers were getting less agile, the decimal point didn't register," says his daughter, Peggy Simpson, 73. READ MORE HERE. We hear a lot about interest rate trends, but what does that look like? Here are three graphs ( used with the permission of Mortgage X - Mortgage Information Service). Not sure what to do with all your home expense receipts? England Record Keeping can help you with that. Call 507-353-0003 today! The farming business ranges from small to large operations. No matter what size your farm business, you need the following information regarding audits. Before you read this article, I have a question: do you need help tracking your farming receipts? England Record Keeping can help. Call 507-353-0003. England Record Keeping can help you track the essential receipts you need. Your receipts tell the story of your business. . .what's it saying? Call me at 507-353-0003 to find out. Here's an excellent article on tracking your cost of goods sold. Looking for an easy way to track your receipts? England Recordkeeping can help you with that, for less than most monthly cell phone bills. Call 507-353-0003 to find out what we can do for you! It happens faster than you plan - credit card debt overload. How can you plan to avoid this financial trap? One way is to track your receipts. You'll discover when, where, why, and how much you're spending. Without a record keeping system, it's easy to lose track - call me today to find out how you can track your income, expenses, and receipts for less than a normal monthly cell phone bill. Are you addicted to the work you do? This article from the Fox Business Center will help you decide. England Record Keeping would like to help you simplify the way you track your receipts. This system is inexpensive (less than most people's monthly cell-phone bill), efficient, and a time saver at tax time. Call 507-353-0003 to find out more. Here's the article: Are You a Workaholic? If you're always finding ways to spend extra time at the office or ignoring pleas from others to cut back on your on-the-job time, a new study shows you may officially be a workaholic. England Record Keeping is dedicated to giving you the best record keeping service and excellent financial resources. To learn more about how we can help you with the first goal, CLICK HERE. For resources I trust, CLICK HERE. England Record Keeping can help you track your receipts, and clarify where you've been, where are you, and where you are going. You can get started for the price of your monthly cell phone bill, and often much less. Sometimes you might land on this website from a search and see only the blog. We're glad about that, but that's only part of what you may need to know before you start working with us. Steve has nearly 20 years of experience of managing multi-million dollar operating budgets. Eric England has 15 years of management experience in the transportation and construction industries. READ MORE . . .
Do you have any record keeping questions? We'd like to answer them. You can ask by filling in the form in the upper right-hand corner of this page, by emailing us at englandrecordkeeping@gmail.com, or by asking here on the blog in the comments. You can also call us at: 507-353-0003. We hope you'll take time to get to know us better and we look forward to answering your questions. Many of the people I talk to are struggling finanically, and are overwhelmed by their debt. If this fits your current circumstances, England Record Keeping can help by organizing your receipts in a manner that is easy to understand. Your receipts show you where you've been, where you are, and where you'd like to go. I also want to share this article with you. Debt can be daunting, especially when the statements keep rolling in with no end in sight. Paying off your debts isn’t going to happen overnight—especially when consumer debt totaled $2.5 trillion in the U.S. in December 2011--but you can speed up the process by strategizing a plan and sticking to it. Get started tracking your receipts the easy way. Call me at 507-353-0003.
graphic is from the Microsoft free gallery. It happens: you're on a trip and an unexpected expense comes up. Although at the time you might feel alone, you're not. Thousands of travelers face a similar crisis every year. It's important to keep track of your receipts whether you're traveling for fun or business. England Record Keeping can help you with that. Call 507-353-0003 to find out how. Are you a boomer? Are you ready for retirement? Graphic from Microsoft's free clipart gallery. When you look at these photos, you might be wondering which best represents today's Networking. The answer: Although it's changing - both. About relationships before selling. This means it takes time, and energy before you see income from this kind of connecting. Trust building. As you learn, you share. As you share, you learn more. Generous. Your giving will return to you - in time. Here to stay. As the technology advances, so does online networking. A friend of mine told me, "The new networking has the power to build a strong business. Your foundation is usually your family and friends. You add to your credibility, knowledge, and success by networking with people who need or want your services. When they are ready, because they trust you, they will purchase your product or service." I believe you can't beat a live voice when you call for information or a face-to-face appointment. Call 507-353-0003 today to learn more about how England Record Keeping can help you - often for less each month that your cell phone bill. Or, fill out the form on this page to let me know the best way to contact you. To learn more about networking, here's a link to a Wall Street Journal Article. Before I close this post, I have a question for you: What is your biggest record keeping concern? I'd like to help you find solutions. Graphics from Microsoft's free collection. Although we don't like to talk about death, it's wise to prepare our documents for the day our heirs will need them. It isn't enough simply to sign a bunch of papers establishing an estate plan and other end-of-life instructions. You also have to make your heirs aware of them and leave the documents where they can find them. READ MORE HERE. Don't forget: your receipts will be essential to your heirs. England Record Keeping can help you be sure yours are saved and easily available to them. Call 507-353-0003 to learn more. You might wonder what de-cluttering has to do with tracking your receipts. The answer: a lot. What the nine tips the professionals show you in the following article, England Record Keeping can do for your receipts. We offer a simple, affordable (usually less than a monthly cell phone bill) management of your receipts and invoices using a PDF system which is available to you 24/7. Summer is the time to travel for most families. Just getting out of the driveway can be a challenge so I have a couple of links for you this week. Going to take a road trip? Fantastic. Before you hit the road it's key to plan -- carefully and thoroughly. Things like a true budget is vital, although a special “indulge” is permissible (but keep it sensible). Before you read this excellent article, I want you to know you can connect with England Record Keeping on Facebook, Twitter, and LinkedIn by clicking on the new buttons below my signature. See you out there. We hear about it all the time and may even know someone who has had extra charges on their credit cards. What is identity theft, and how can we protect ourselves from this invasion of our privacy? This link from the Wall Street Journal tells us. Identity theft occurs when someone obtains your personal information, such as your credit card data or Social Security number, to commit fraud or other crimes. The Federal Trade Commission estimates that 9 million Americans suffer identity theft annually. It sounds like a big number, but it isn’t. Read the rest of the article HERE. 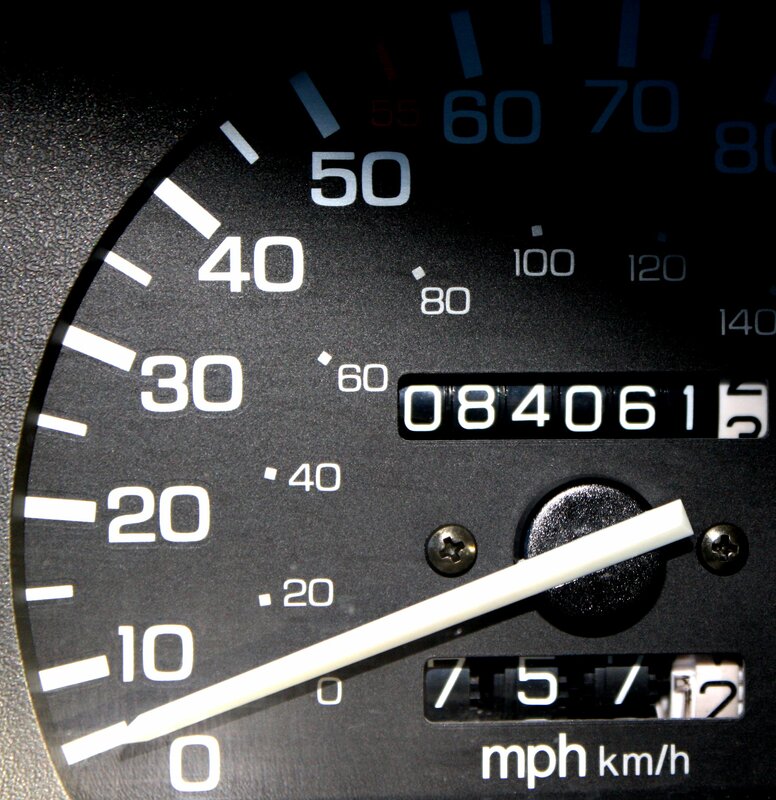 Business people need to track their mileage - this is an IRS requirement. In the past, this meant a logbook in your glove compartment or briefcase – a tool now being replaced by online tools and cell phone apps. For less than $3 you can save the hassle of a logbook, which many busy people forget to use and try to play the guessing game, when trying to remember where they went and when. Although these apps are a great way to track your miles and expenses, they don't replace keeping and tracking your actual receipts – the IRS is going to want to see them as well. That's where England Record Keeping comes in – we track your receipts for you while the app tracks the rest. Call 507-353-0003 today to get an estimate on working with us. We can save you time and money all year long as well as stress at tax time. You can also contact me here on the site by filling in the form in the upper right-hand corner of each page. We intentionally keep our pricing low, so we can help the small-business owner succeed. As small-business owners ourselves, we understand the need for excellent service and affordable fees. We provide our clients with a simple way to organize their financial data. They mail their information to us; we do the work, and then mail it back to them. The reports can be reviewed at any time they are needed – quickly. Errors, unpaid accounts receivable, and overcharges by vendors can be seen, and corrected. We have the perfect system for people who want to do some of their own bookkeeping. We get you going in the right direction, and you do the rest. Sometimes it's important to get the word out about what England Record Keeping does in more detail. So here's the link to Our Services page. If you have questions about our services, please call me at 507-353-0003. 1. They are not secure – your income and spending need to be protected. 2. They are messy, making it difficult to find the receipts when you need them. Put the envelope from England Record Keeping where you now stash your receipts. When the envelope gets full, mail it in. When the envelope comes back, file it where you can easily find it. Call me at 507-353-0003 to find how England Record Keeping can help you simplify your system today. People often ask what papers they need to keep and for how long. Whether you're in business or not, there are receipts you need to keep for tax purposes and for big item returns. For taxes: you need are receipts of all your expenses and your income. Big ticket items like computers, printers, televisions, furniture, jewelry, and appliances etc all need receipts for returns or exchanges. Check HERE for a list of the records you need to keep, why, and for how long. When it comes to your income and expense receipts, England Record Keeping can help. Call 507-353-0003 to find out how. Your receipts are essential to discovering your full financial story. Is Mom the record keeper in your home? Why not give her a gift that will benefit her all year long? You can give her a year's worth of help from England Record Keeping. Call me at 507-353-0003 to find out what this gift will cost and how it can free Mom up to do things she enjoys more – like spending time with you. Simplify Mom's life with a Mother's Day gift of time! 1. If you know where your receipts are, it makes stealing your identity more difficult. For those who make a habit of breaking into vehicles, if your receipts are in your glove compartment, the information can be transferred to their computer and your money can wind up in their bank account. 2. Without your receipts, the IRS will not give you deductions you cannot prove. 3. If you need to prove a purchase, with the right system in place, your receipt can be found in minutes instead of hours or days. England Record Keeping can help protect your identity plus, we can save you both time and money. Call me today at 507-353-0003 to find out how little it can cost to save you a lot. As a solo-prenuer or small business owner, you know keeping track of your receipts is important at tax time, but why do they matter the rest of the year? Your receipts verify where your dollars are being focused. Taking a close look at where the money is spent allows you to decide what expenses are benefitting your business or hindering it. You can make better business and personal financial decisions based what your receipts reveal. When you hire England Record Keeping to track your receipts, you can track your progress. Don't settle for your mess – call me today at 507-353-0003 to see how I can help you. There's a simple rule of record keeping: Keep the receipt; keep the deduction. In order to do that, small business owners need a system that works, and we have one for you. Each month you fill up the pre-addressed envelope with your receipts, and once a month, on a specific day, mail them in. We suggest you save them here each day by carrying it in the place you have stashed your receipts in the past. Keep them in the envelope you receive them in, after viewing the report (the story told by your receipts). At the end of the year, take the envelopes to your tax account. England Record Keeping makes keeping track of your receipts easy. Call us today at 507-353-0003 to find out what we can do for you. Although some tax payers will receive their returns in about 10 days, statistics show that the IRS issues 90% of the refunds within 21 days. All the dates you see on your tax papers are estimates. England Record Keeping can make filing your returns easier for you and your accountant. Call me at 507-353-0003 to find out how. Keeping track of your mileage doesn't take a lot of effort - a small notebook will work or use the voice recorder on your cell phone. Do you have questions on record keeping? Send them to me at steve@englandrecordkeeping.com or leave them in the comments section of this blog. If you want to know what England Record Keeping can do for you, call me at 507-353-0003. I look forward to hearing from you. There's a financial story that's important to your business in your receipts. I can help you find it. Backup all critical data and keep at an off-site location at least 50 miles away. Adapt boilerplate disaster plans from the Small Business Administration and other Web sites. Your suppliers could encounter a disaster. Come up with a list of backup vendors in case your primary ones are shut down. Here's an answer from Smart Money: Tick, tock. Uncle Sam's deadline for your 2011 return is looming, and you aren't nearly ready to file? Now could be the time to come up with a backup plan. Fortunately, the Internal Revenue Service has some sympathy for procrastinators: The paperwork for filing an extension is simple, and it will keep the feds off your back all the way until Oct. 15, 2012. In other words, the IRS will give you an automatic six-month extension. Out of Time at Tax Time? I found this article interesting. Employee turn-over is expensive for the small business owner. Learning how to keep your best people satisifed on the job saves you money, time, and hassle. Most people who quit their jobs give one of these seven reasons. Sadly, most of them are easily avoidable, which would mean a lot of employers would save time and money by hanging on to their best talent. Read more the full article. We have friends who are authors – they use words to tell stories. At England Record Keeping, we see stories that are written with numbers. In your receipts, the story of your business can be revealed and understood. Authors need editors, but business owners need record keepers. The reports generated by England Record Keeping for our clients helps them see their true financial picture. This clarity allows them to make the kind of decisions that can lead to increased success. What are your numbers trying to tell you? Don't let an unorganized pile of receipts tell you a financial fairytale. We can help you discover the truth your business needs to grow and prosper. Visit our SERVICES page to learn more and request a quote, or use the contact form at the top right side of this page. That jumble of receipts you have stashed away is like a tornado that could cause you major financial havoc if left alone. Somewhere in there could be a job order, an unpaid bill, or worst of all, an invoice you filed instead of sending. When you look at your checkbook balance, you know your deposits are short a couple of thousand dollars, but you have no idea why, and the answer won't be found for months. Next month, your receipts pile has grown, your bank account hasn't, and your stress level has increased. The numbers you need are likely buried in that pile, but who has the time or energy to track it all down? You do if you're working with England Record Keeping. We assist you in getting your receipts saved, and generate reports you can trust to make sound financial decisions about your business. Your category 5 financial tornado dissipates, and you're no longer controlled by what you don't know. Call us at 507-353-0003 or get a QUOTE today. Every time you look at that messy stack of receipts, a sense of unease creeps into your day. You hope you haven't lost anything important. A week later, you find a renegade receipt in some other papers – from last year. Since you were using the same system then, your unease turns into worry. Instead of living in a constant state of stress about your receipts, and what they could be telling you, you could work with us at England Record Keeping. Learn more about Our Services, or if you have questions, use the contact form in the upper right corner of this page. We will call you at a time that is convenient for you. England Record Keeping works to ease our client's minds at tax time and all year long. Many of the business owners we meet, don't have an orderly record keeping system. Their reason is a good one: organizing records – especially receipts – takes time they don't have. Each tax season, they promise themselves, they'll do it differently next year. They mean it, but demands on their time immediately divert their attention. These men and women are sure there's a better way; they just don't know what it is. This is where England Record Keeping comes in, and we have good news for you: there is a better way. The following blurb is from the Our Services page of this website. England Record Keeping provides you with special postage-paid envelopes that are bar-coded with your specific information. Keep one where you tend to scatter receipts – your truck, your desk drawer, etc. You simply save all of your paper receipts in the envelope as you receive them. As often as is convenient, just drop the envelope in the mail (we suggest up to once per week). Upon receipt of them, all receipts are scanned, and the originals are mailed backed to you. You can visit Our Services and request a quote. If you're ready to work with England Record Keeping, have a question, or want to know more, you can contact us by filling in the form at the upper-right side of this page. You can change what's not working by working with us. Failing to keep good financial records is like driving a sports car at top speed with your eyes closed. It may be ok for a little while, but eventually you will crash and burn. Perhaps one of your new year’s resolutions is to keep better financial records for your business. You may have pledged to finally tame the paper beast lurking in your office, or at least find your desk under all those receipts. But there’s one small problem. England Record Keeping works with the company mentioned in this article. To learn more about what we do, check out our "What We Do For You" page. Tax season is here and with it can come the hassle and stress of getting your receipts and records in order. The 5 steps in this article will help. Kate Rogers writes, Tax season is here again, and small business owners often struggle to not only file properly and avoid audits, but also to work the tax code to their advantage. If you'd like to be more prepared next year, England Record Keeping would like to help you. Check out the "What We Can Do For You" page.